Who wouldn’t want to watch a world-class violinist perform IRL? Or learn about the art of performance and composition from a bona fide Grammy winner? For those answering “I would!” September 26 at the 2018 LA Film Festival was the place to be. 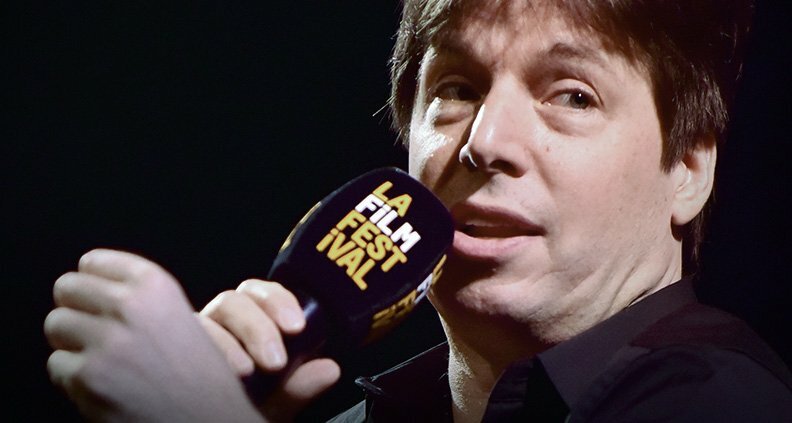 At the Wallis Annenberg Center for the Performing Arts on Day Seven of the Festival, conductor and Grammy-winning violinist Joshua Bell took to the stage to pay tribute to François Girard’s The Red Violin—as well as its Oscar-winning Best Score—in celebration of the film’s 20th anniversary. Unfortunately, technical issues prevented the intended full screening of Quebecois filmmaker Girard’s 1998 musical drama from taking place. But that just meant that evening’s main event—a conversation between Bell and Film Independent Presents curator Elvis Mitchell, followed by a live performance by Bell—happened all the sooner. According to Bell, the emotional impact of a film score cannot be ignored. Score fuels emotion and enhances the key dramatic moments of a scene. Bell—The Red Violin’s lead instrumental soloist—said of director Francois Girard: “He’s clearly music-minded [with] a great visual sense,” adding, “He’s just got a great love of music and was an ideal director.” Bell cited Amadeus (1984) as one of the great films about classical music, and mused that there should be more. Another magical thing are the violins themselves, said Bell, his foot resting on a $15 million violin. “This movie, I think, not only glorifies music but also another art form–violin making.” Said Bell of the great, valuable violins being put up for auction: “It’s the only thing in the world I can think of where we are using something [that is] 300-years-old not just for historical value, for novelty, but because it’s better than anything else we have,” he said. 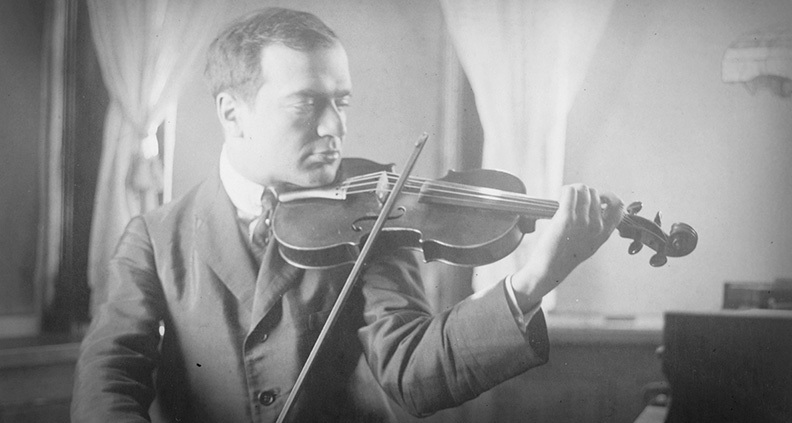 Speaking further to his prized instrument, Bell said, “This particular violin was owned by one of the greatest violinists of the early 20th century, Bronislaw Huberman. The violin disappeared from the backstage [during Huberman’s 1936 concert at Carnegie Hall] and there were headlines in the paper, ‘Huberman’s Strad is stolen.’” He added, “Basically Huberman never saw the violin again.” So! How did a vintage 1713 Stradivarius end up in Bell’s hands? The year is 2001. He walks into a violin shop prior to a performance and is told the Huberman Strad violin, in all its glory, is right there. “After 30 seconds I said, ‘Oh my God, this is my violin’”—$3.5 million was the asking price at the time. Bell addressed the idea that such older “Golden Age” instruments are not, in fact, inherently any better than modern violins. “Those tests never test the subtleties of what happens after you spend months with this instrument,” he said. “There are very good modern violins, and some of them are easier to play than these.” But when you know how to use an older violin, the sound is inspiring, said Bell. With that, it was performance time! It’s clear that with all great films about music, the music survives and finds a life outside the film. Look no further than The Red Violin. The 2018 LA Film Festival took place September 20-28 across the city. Catch more of our exclusive coverage of the Festival on our blog and YouTube. Don’t forget to be our friend on Facebook and Instagram. To learn how to become a Member of Film Independent, click here.